Searching for Engineering quotes and sayings i.e. some popular quotes about engineers and engineering. If yes, now you don't need to search for them anymore. As here I have compiled down some of the funny and inspirational engineering and engineers quotes. Just hope you like the quote compilation and able to find those words you are looking for. For an optimist the glass is half full, for a pessimist it’s half empty, and for an engineer is twice bigger than necessary. Inventing is the mixing of brains and materials. The more brains you use, the less materials you need. The fewer moving parts, the better. Exactly. 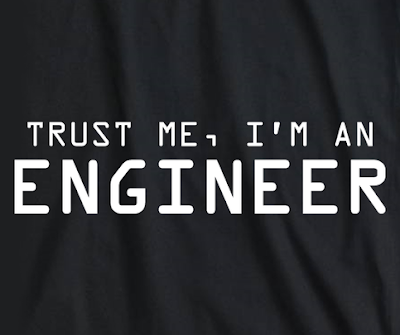 No truer words were ever spoken in the context of engineering. The major difference between a thing that might go wrong and a thing that cannot possibly go wrong is that when a thing cannot possibly go wrong goes wrong, it urually turns out to be impossible to get at and repair. We don’t care about what you did yesterday—we care about what you’re going to do tomorrow.